Responsibilities of the private sector were also highlighted at the session and as the producer of food, it is vital that all players possess the necessary knowledge and skills to develop safe products. Opinion: Halal Meat May Be Processed Differently, But Is it Safer? The animal must be healthy so the Muslim workers are trained to identify diseases that would render the animal unclean. They demanded that the FAO and WHO food safety guidelines be strictly enforced to ensure farm-to-table monitoring of food across the country, stressing that food quality is different from one emirate to another, and real food safety legislations and research are absent. Whether it is snowing or hot and sunny, it’s important to follow food safety guidelines to prevent harmful bacteria from multiplying and causing foodborne illness. There’s something for everyone to learn in this article. Food safety tops the list of an annual survey asking Americans to choose the most significant food story of 2011. Even in a year when global food prices hit record highs. 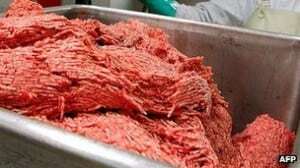 Ottawa Public Health is debating whether to force all food handlers in the city to take a mandatory food safety course. The city now offers a one-day voluntary food safety certification course and demand is high for that course.